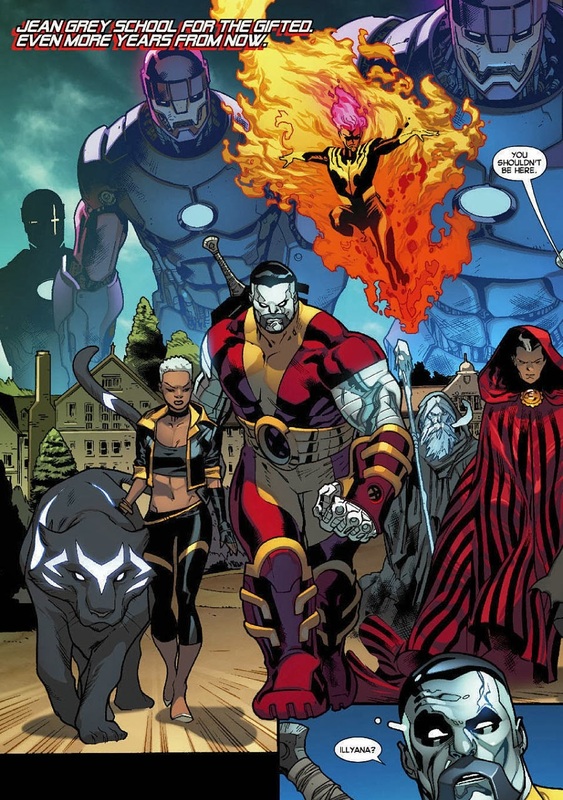 The teenage original X-Men’s adventure in the Ultimate Universe draws to a close in All New X-Men #36, as the X-Men from both universes and the Ultimate Spider-Man, Miles Morales, battle Doctor Doom in his Latverian castle. Following the Ultimate Doctor Doom’s devastating counterattack, the X-Men must find a way to strike back against Doom, before the Ultimate X-Men can help the original X-Men return to their own universe. All New X-Men #36 opens with Doom victorious, with Miles, the original X-Men, and the Ultimate X-Men all knocked unconscious after Doom’s explosive attack. 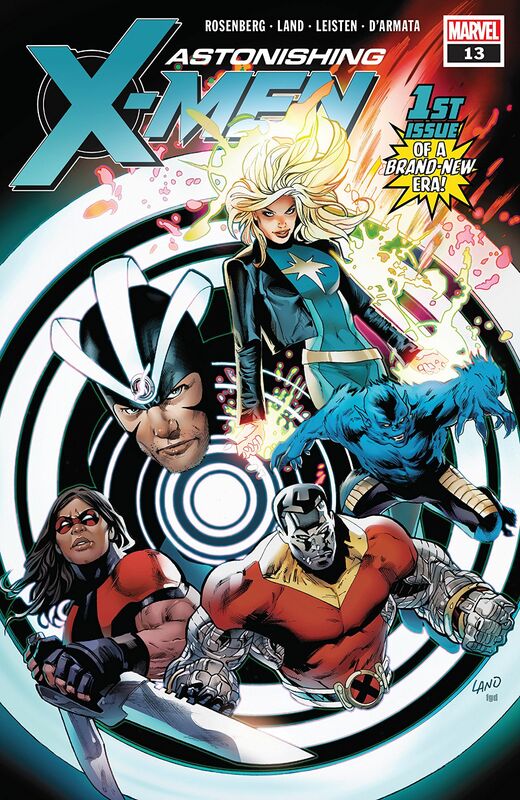 With the announcement that Brian Michael Bendis would soon be ending his run on both of his X-Men titles in May with the renumbered giant-sized Uncanny X-Men #600, together with all of Marvel’s recent Secret Wars news, the original X-Men’s jaunt to the Ultimate Universe in All New X-Men feels even more significant now than when it began. While the plot meandered a bit at first, but Bendis soon got everything back on track, providing us with some great character moments along the way, and he brings this storyline to a relatively satisfying, if somewhat rushed, conclusion with this issue. Of all the X-Men books, All New X-Men has still constantly remained my favourite. Brian Michael Bendis has such a grasp on all these characters, he writes them perfectly, and this issue is no exception. From the moment Doom’s initial sense of victory begins to crumble after Jean cleverly gives her team-mates time to recover, this issue sees the original X-Men and Ultimate X-Men working together in the most innovative way imaginable to defeat Doom. The battle might be quick, but it’s certainly eventful, and I particularly liked how Beast left a farewell gift for Doctor Doom – especially fitting really considering how Hank was drugged, brainwashed and then forced by Doom to assist with his attempts in discovering a way between the universes. Mahmud Asrar’s art really brings out the best elements of Bendis’ storyline. The characters and their expressions are all well defined, with virtually all the X-Men and Ultimate X-Men getting a chance to shine. We are treated to some spectacular looking splash pages, the fight with Doctor Doom is handled really well, and our glimpses through the portals into the other dimensions offers some extremely interesting concepts for us to ponder over. Marte Gracia’s colors are excellent; the tones used are bold and striking, enhancing the action as well as the quieter more emotionally driven moments towards the climax of the issue. There are plenty of fun scenes as well: the banter between the two Icemen is great, Miles also discovers how unfair mind-reading can be, and Jean really should’ve known better than to read Tony Stark’s mind. 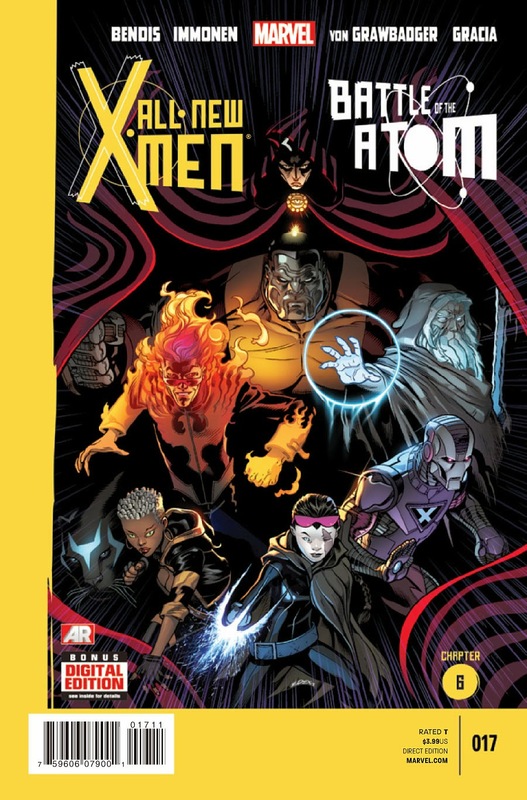 It is only really during the final stages, where the X-Men have tracked down the young Mutant girl, Carmen that this issue begins to feel a little rushed. When this storyline began the original X-Men were trying to help a new Mutant, the young girl, Carmen, who subsequently lost control of her powers and transported them all to the Ultimate Universe. Now after everything the original X-Men, Miles, and the Ultimate X-Men have been through together, events wrap up very quickly, and the hurried conclusion feels a little bit abrupt as Bendis’ script races towards the finish line to send the original X-Men back to their universe. So, as All New X-Men #36 concludes the original X-Men’s dimension hopping trip to the Ultimate Universe, we are left with a somewhat ominous coda for the next issue. 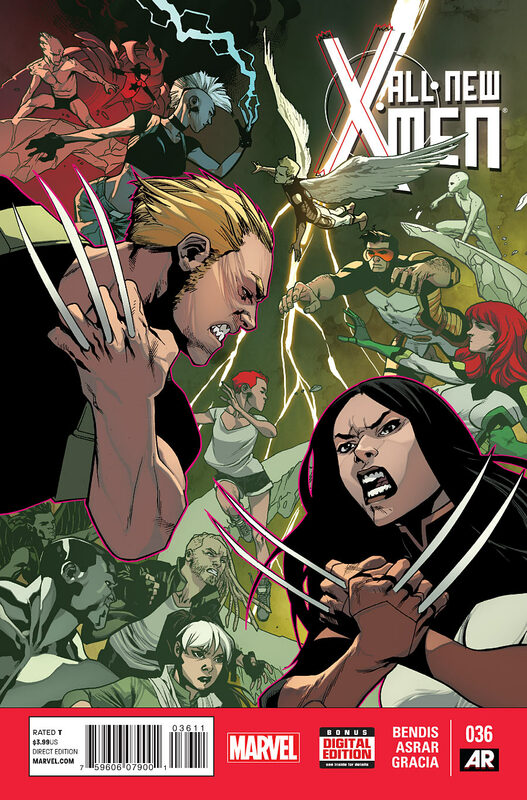 Overall, this storyline has been quite enjoyable, although not as good as previous arcs, nevertheless All New X-Men #36 still provides a fitting closing chapter for this story, and it will be interesting to see what’s in store next for the original X-Men as Jean Grey’s training continues.